The Canucks have announced that they will be entering a new broadcast agreement with Sportsnet starting in the 2017-18 campaign. The deal comes on the heels of 11 years of broadcasting through TSN 1040, and is five years in duration. TSN will continue to maintain a presence as an all-sports talk station, with no changes to the everyday host lineup. Sportsnet and Rogers already hold the television rights to Canucks’ games, and have a radio presence in Calgary, Edmonton and Toronto. Over the course of the past several months, the Canucks’ fanbase has been fully on board the Bo Horvat train, embracing the young centre as the future face of the club. However, Horvat’s wing-man has been nearly as impressive. 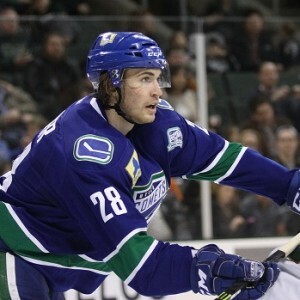 Sven Baertschi, acquired two seasons ago at the trade deadline for a second round pick, struggled early in his Vancouver tenure. Since his arrival, Baertschi has developed into an integral piece of the Canucks’ offence. In 56 games this season, the 24-year old has a solid 31 points, which verges on a 50-point pace. His 16 goals ranks third on the team, in less games than most of his teammates, while his point total ranks fourth. During the opening days of February, Baertschi was diagnosed with a concussion courtesy of Nashville’s Cody McLeod. Since his return, he’s put up four points in six games, including three goals in that time. The recent hot streak has allowed Baertschi the opportunity to potentially put up his first 20-goal campaign, a major milestone both personally, and for the franchise. Of late, Baertschi is playing with confidence, tenacity and intensity. The result has been effective offensive output. 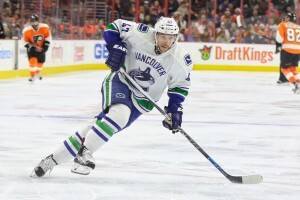 He’s emerging as a key scorer for the Canucks, and fans should be excited about what the future may hold for Baertschi. With the Canucks’ prospect pool improving over the past couple of years, a handful of previously-heralded young players have fallen off the radar. Included in that group is Alex Grenier (a third round pick from 2011). Despite strong numbers in the American Hockey League, including a team leading 40 points in 54 games this season, Grenier has never been able to make the leap to the next level. His combination of skill and size has been intriguing to many, and has resulted in nine games at the NHL level. Unfortunately, he has yet to shine in any of those contests. While Grenier has yet to look out of place in the NHL, he hasn’t flourished either. He doesn’t have a point to his name, nor has he made any sort of significant impact physically. His teammates — namely the likes of forward Joseph Labate and defenceman Evan McEneny — have made the most of their chances. Both Labate and McEneny established themselves physically, and as strong defensive presences respectively. Grenier has yet to stand out in such a way. With the likes of Nikolay Goldobin and Brock Boeser set to step into key roles on the team, Grenier may find himself on the outside looking in. Should he wish to make the NHL as a regular, his current stint has to be an impactful one, as this may be his last opportunity.